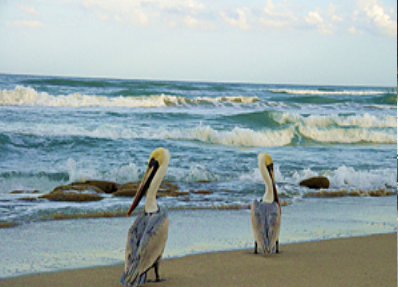 Explore nine miles of white sand beach on the Gulf of Mexico. Swimming, fishing, kayaking, biking, nature trails, and excellent shelling. Restrooms and showers are available on both sides of the park. Primitive cabins and tent camping are also available at Cayo Costa State Park. A small camp store sells drinks, snacks, sundries and souvenirs is located on the Bay side of the State Park. It is open from 9AM to 3PM daily. The camp store also rents Bikes, Kayaks and Paddleboards. To confirm reservations we need a credit or debit card (anything except American Express cards) which will be processed 24 hours prior to departure. You have until then to make any changes to the reservations (any one person cancels or to cancel the entire trip). cancellations before then will incur a $5 fee. Make sure to pack a picnic lunch, drinks, snacks and any beach gear needed for the day. You must be at Jug Creek Marina by 9am on the day of departure we will depart at 9:30. The marina charges $8 per vehicle for the day for parking. The narrated trip over to Cayo Costa State Park takes approximately 1 hour. We will drop you off on the Bay side and you will board a tram to the Gulf side where there are covered picnic areas as well as restrooms. At the end of the day we start boarding at 3pm which means you will need to catch the 3:00 tram back to the boat dock as we will depart at 3:30 and you will get back to Jug Creek Marina at approximately 4:30. All trip schedules and rates are subject to change without notice. Tropic Star is NOT responsible for delays/changes caused by weather/unforeseen conditions. Advisory, we do have a 6 passenger minimum requirement. Sometimes during slower months we don't always meet our minimum required so just be aware that you may receive a phone call from us and that it helps to be flexible for other days around the one that you have scheduled and we will try to accommodate the best we can.